O livro “I’ll Be There For You: The One About Friends”, escrito por Kelsey Miller, tem dado o que falar entre os fãs de “Friends” – que estão ansiosíssimos para ler a obra que conta detalhes inéditos sobre os bastidores da série, revela entrevistas e também aponta sua importância na televisão e no contexto cultural. This baby is out ONE WEEK from today (Oct. 23)! First things first: Preorder, please and thank ya! Link in my bio. I’ve gotten a lot of questions about what *kind* of book this is — I.E. is it fun stuff for fans, or does it touch on serious and/or controversial topics. The answer is yes, to all. There’s plenty of BTS history and juicy stories. But this book also addresses things like: Fat Monica; Chandler’s dad; Susan & Carol’s wedding and the depiction of gay characters in the DADT era; the glaring whiteness of 90s TV; the impact of 9/11, and more. And there is one OFFscreen story in particular — one that’s extremely relevant right now — that everyone should know (yet very few do). * Point being, there’s stuff in here that will make you laugh (I hope!) and some weepy parts too. But I also hope it makes you raise your eyebrows at times, and think about the many ways this show has shaped us and our culture. Em entrevista ao portal Refinary29, a autora do livro respondeu uma das questões que certamente dividem espectadores: Ross e Rachel estavam mesmo destinados a ficarem juntos? Para Kelsey a resposta é “sim”: “Eu acho que Ross e Rachel são bons complementos um para o outro, eles ficarão loucos um pelo outro pelo resto das suas vidas do jeito que muitos casais costumam fazer. 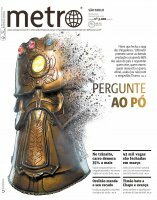 No entanto, a escritora acha que as coisas poderiam ter acabado de uma forma diferente: “Seu final era obrigatório para o programa. Poderia ser um pouco diferente, porém, com Ross não fazendo Rachel desistir do seu sonho para estar com ele, gostaria que houvesse uma discussão. O que aconteceria se Ross tirasse a bunda da cadeira e fosse para Paris?”, finalizou. Ross e Rachel estavam ou não dando um tempo?